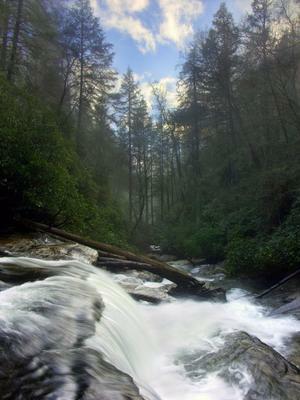 The Nantahala Ranger District was formed in 2008 by combining the Highlands and Wayah districts of the Nantahala National Forest. The office is now located in Franklin, NC. 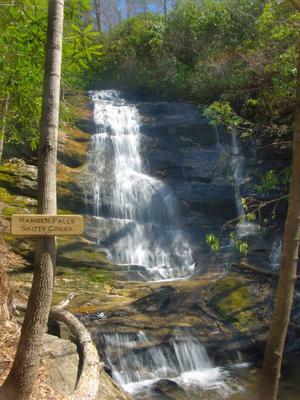 Known as the land of Granite Walls and Waterfalls, this district is located around the towns of Franklin and Highlands in North Carolina's southern mountains. Much of this district lies along the Blue Ridge Escarpment, a sharp drop in elevation between the Mountains and the Piedmont. Above the escarpment, there are high plateaus and tall, rounded mountains. Numerous waterfalls cascade over massive rock cliffs up to 400 feet high, and round granite domes with cliffs approaching 1000 feet provide for incredible viewpoints. 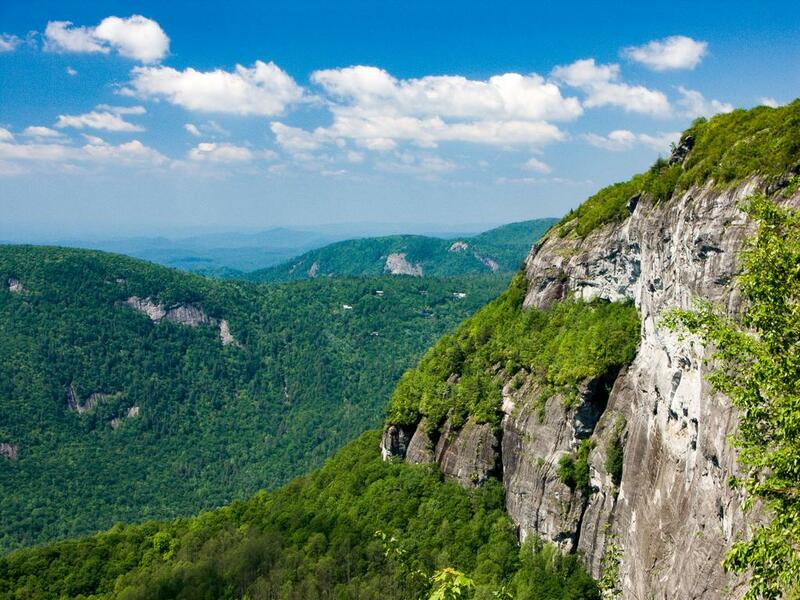 Much of the Southwestern portion of North Carolina is enclosed by the Nantahala National Forest boundaries. However, parcels actually owned by the Forest Service are fragmented, with many private in holdings. Posh resorts, upscale tourist towns and summer homes dot the landscape. Plenty of hiking trails, however, exist within this forest, and the Highlands district contains some of the best to be found. This delightful, small campground has 21 sites, and campers may swim and shower at nearby Cliffside Lake Recreation Area. Sites are secluded and set back into mature forest and rhododendron groves, making this a favorite on most visitors' lists. Rates start at $20/night. Tents as well as small RV's are allowed (there is only one pull-through site). 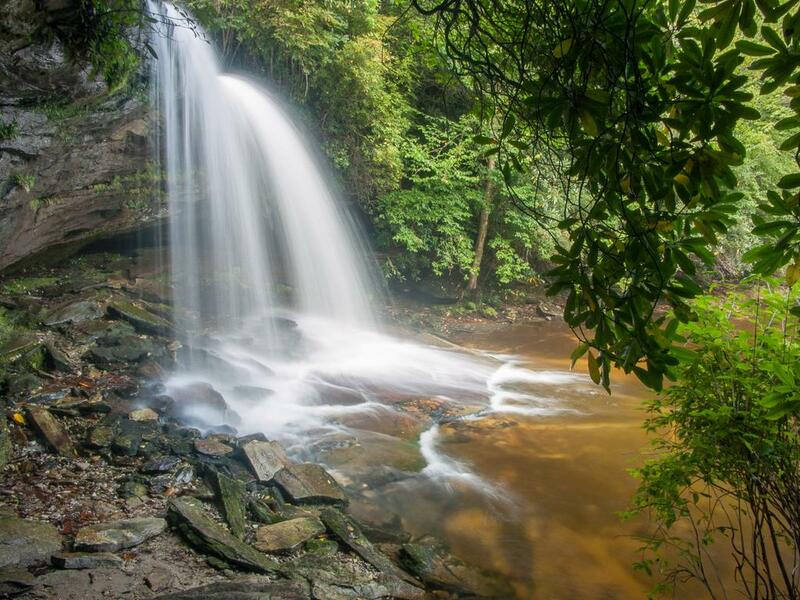 Hikers can pick up trails to Dry Falls on the Cullasaja River, as well as trails in and around Cliffside Lake Recreation Area directly from the campground. Located 4 miles West of Highlands on US Hwy. 64. 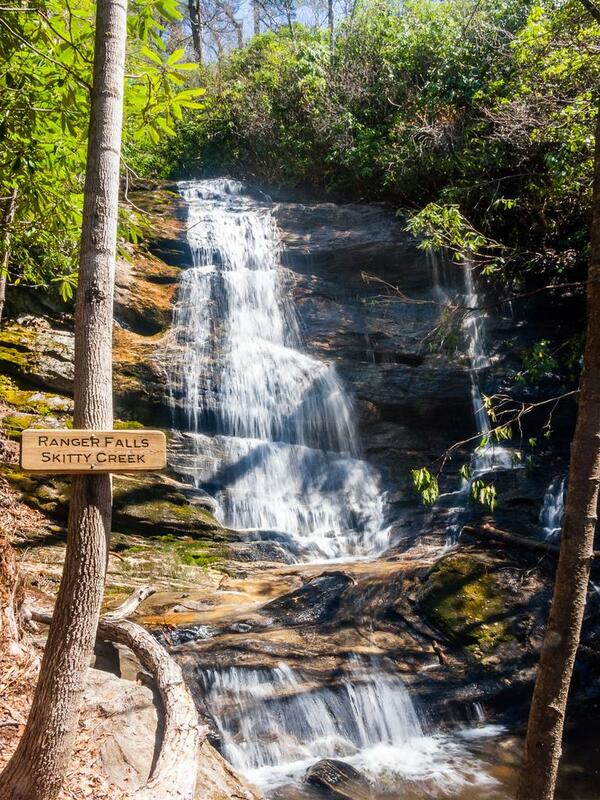 For official information and reservations, call (828) 862-5368 or visit Van Hook Glade on Recreation.gov. The Hinton Center is nestled in the Blue Ridge Mountains of Western North Carolina just outside the city limits of Hayesville, North Carolina and approximately 2 hours from Atlanta, Asheville and Chattanooga. Our facilities have gorgeous views of Lake Chatuge and the surrounding mountains. We are conveniently located near many outdoor recreation areas including the Nantahala National Forest, and the North Carolina Section of the Appalachian Trail. Lodging is available year round for groups and individuals and include special off-season discounted rates.